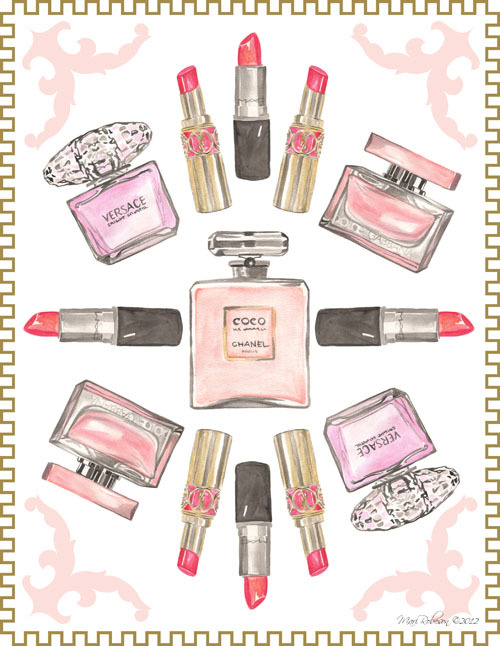 Monday's Mood Board - Lipstick & A Good Perfume! A few weeks ago my oldest daughter and I went to Sophora. If you know Sophora, then you know that it’s basically a candy shop for women. I love browsing through the perfumes and finding a new scent to wear. 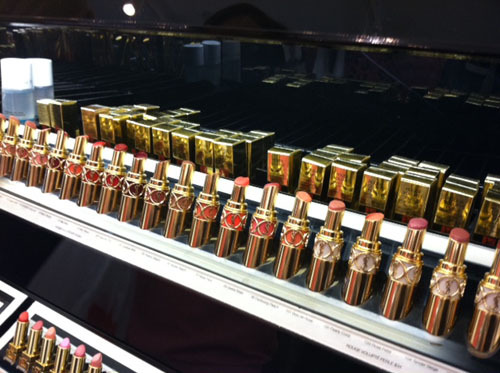 I also love, love, love lipstick! I’ve often told my daughters, “All I need is Lipstick & a Good Perfume.” Something else also struck me that day, all the beautiful packaging but I tucked away those images in the back of my mind. Then recently I’ve had two design projects that made me start thinking about that day again. As you can see from the prior post, I’m designing a boutique and I’m also designing a teenage girl’s room. Both projects are incredibly fun! When looking for art, I started to pin certain things that inspired me on my Pinterest boards. Can you believe that this Dolce pin has received the most re-pins out of anything I’ve ever posted? That got me thinking about Sophora and all the great packaging of these beautiful products…so inspired, I decided to create my own art and out came the watercolors. Today’s Monday Mood Board is all about Lipstick & a Good Perfume. These are my favorites! All Images ﻿﻿Copyright 2012 Mari Robeson, please ask before shaing. Thank you!